Calling all Art enthusiast, DiverseCity or the Kuala Lumpur International Arts Festival is back with DiverseCity 2016, the second edition of the annual performing and visual arts festival first launched in 2015 – showcasing the rich and nuanced diversity of Malaysia and its close ties with the ASEAN community. This year, the festival is held over five weeks - from its official launch on 31 August 2016 until 2 October 2016. It will be officially launched by Prime Minister Datuk Seri Najib Tun Razak at Berjaya Times Square on National Day, with specially commissioned performances of street dancing, a mobile phone orchestra and syair (poetry) reading, amidst a photography exhibition featuring works by three leading Malaysian talents. The lineup of performances, recitals, exhibitions and workshops will be held in multiple venues across Kuala Lumpur city and Greater KL, and covers the scope of the arts – from performing arts to visual arts to literary arts. Featuring acclaimed participants from across the globe, this year’s festival builds on the success of the inaugural event in 2015 – which involved 1,300 participants from 24 countries and attracted 60,000 visitors, almost a quarter of whom were from outside the country. “Malaysia has a rich and diverse cultural and artistic heritage and the multi-cultural nature of our society offers a natural melting pot for artistic expression. As such, Malaysians are very open to experiencing the new things that the world of the arts can offer and we are pleased to be the conduit for expanding the horizons of Malaysian residents and visitors to Malaysia through the DiverseCity festival. 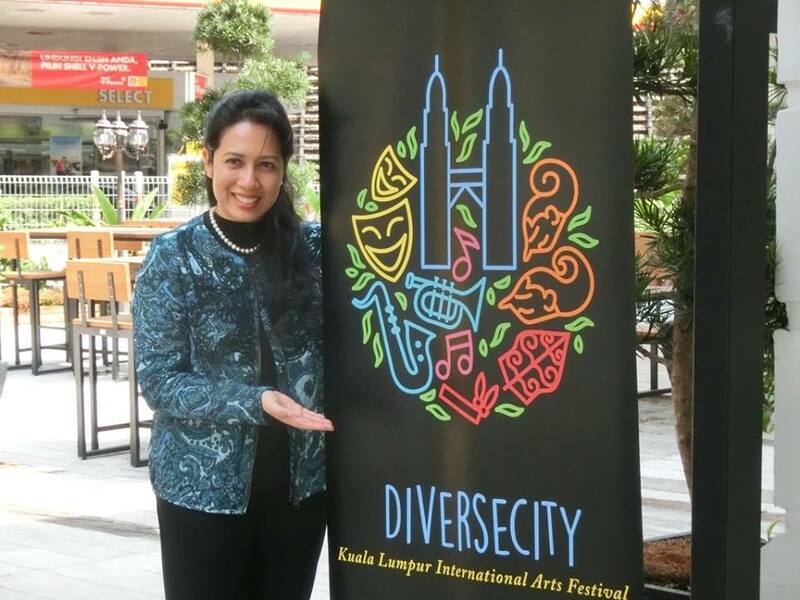 For 2016, we have put together an acclaimed lineup of signature performances featuring celebrated international stars and prominent Malaysian talents that will not just enrich the arts scene in Malaysia but also enhance Malaysia’s reputation as an artistic hub,” said DiverseCity 2016 Festival Director Datin Sunita Rajakumar. “We have a festival programme that offers something for just about any taste, showing Malaysians new things to develop their artistic experience, and is at the same time sufficiently unique to offer something fresh to even the most experienced connoisseur of the arts,” she added. · The critically acclaimed King of Ghosts by British Indian composer and virtuoso player of the sarod Soumik Datta, brought to Kuala Lumpur for its Asian premiere, supported by the British Council and symphonic orchestral musicians from Malaysia. 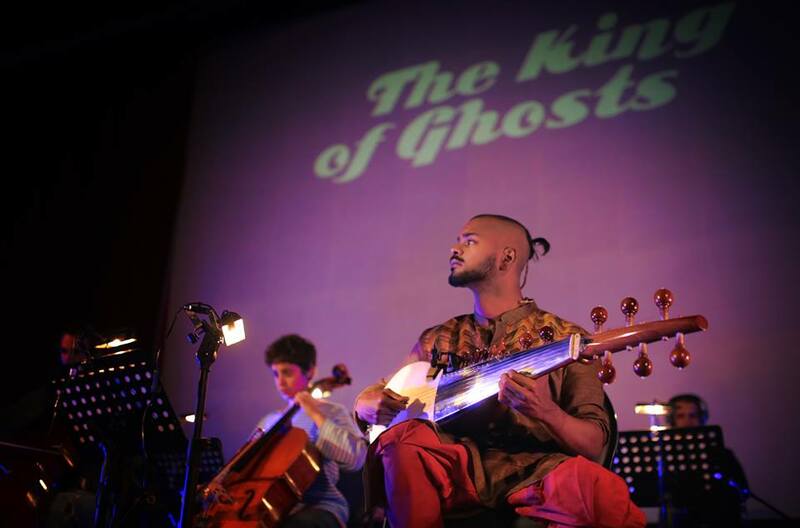 · The specially commissioned Feet on Fire, a first-time collaboration between internationally renowned Flamenco maestro Antonio Vargas and leading Malaysian exponents of Indian Kathak dance and music. · Nari: The Shankar Family Project by Gingger Shankar, a moving tribute to Lakshmi Shankar and her daughter Viji, who helped bring Indian music to the West in the 1970s through their close collaborations with Ravi Shankar and George Harrison. 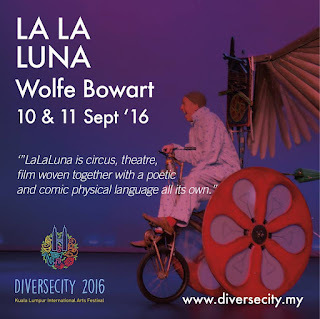 · The award-winning and critically acclaimed La La Luna, a child-friendly mime performance by performer and playwright Wolfe Bowart, which will have you awed and amazed. · The Kaleidoscope international Drumming Festival, an annual festival organised by Hands Percussion, a renowned Malaysian percussion ensemble. Groups in the powerful line-up for Kaleidoscope this year include Olivier Tarpaga & Dafra Drum from Burkina Faso, Gamelan Jinggong Navadaza from Indonesia and Malaysia’s Kamrul Hussin & Brothers. 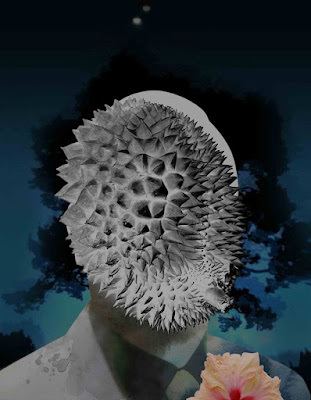 · A landmark contribution from the ambitious 5-year project 2020 by Toccata Studio, a performing arts production collective dedicated to creating and producing quality contemporary art. The project is a multidisciplinary performance by artists Ng Chor Guan and Steve Goh that seeks to depict the national cultural psyche as we head towards developed nation status. · Pensyair Alam Nusantara, the 2nd year of the ASEAN Poets Forum and a day-long exploration of poetry and writings in the park. · The first gathering of Syair Alam Melayu Nusantara - featuring poetry talents from Malaysia, Indonesia, Brunei, Singapore and Thailand, is also happening this year. · The National Arts, Culture and Heritage Academy (ASWARA)’s ever-popular Main Zapin, with representations from many of the states in Malaysia, including Zapin Putar Alam, Pekajang, Sebat, Terengganu, Salor and many more, danced by a cast of 12 highly trained and professional dancers. · A traditional Bangsawan performance of Pelayaran Panglima Awang, about Malay warrior Panglima Awang during the time of Portuguese explorer Captain Ferdinand Magellan. It is a joint production by the National Department of Culture and Arts (JKKN) and the Kuala Lumpur City Hall (DBKL). · Sarawakian music and dance performances, featuring culture from communities such as the Kenyah, Iban, Bidayuh, Orang Ulu, Melanau and Sarawak Malays, as well as modern and world music played with traditional Sarawakian musical instruments. 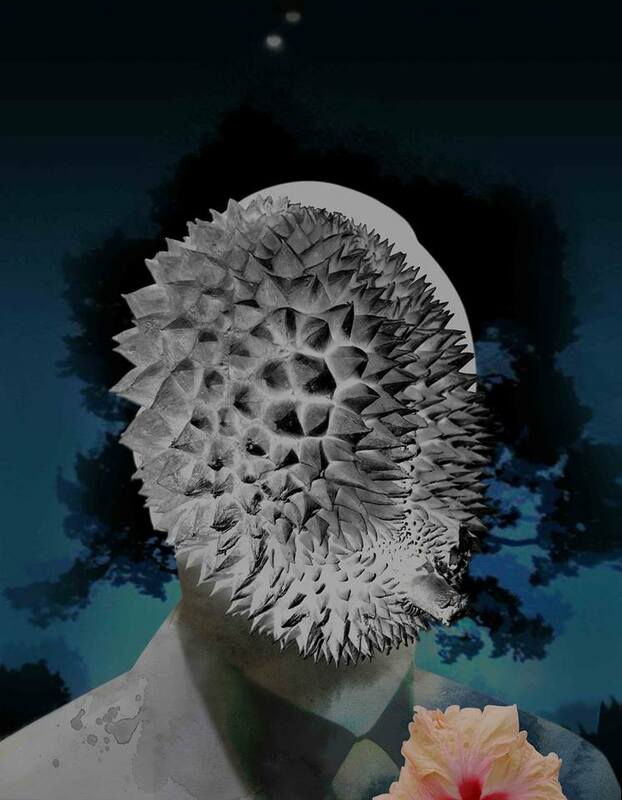 Zac Lee - New Species C4, Digital Ed. 8. · Visit the Enchanted Forest exhibition by Sandra Lee - a new commission. Visitors step into a huge colourful set illustrated by Lee, and enter a world of favourite fairy tales and nursery rhymes given an Asian twist – with Asian clothes, food and architecture. · See Ami Jesal’s Meraki (Moghul Miniatures) - a unique collection of miniature paintings on paper and faux ivory exploring the themes of love. The miniature paintings try to capture the spirit of love, longing and yearning, bringing together humanity and divinity. · Don’t miss the interactive Andy Warhol: Social Circus exhibition, curated by Ryan Su of the Ryan Foundation. The largest collection of Andy Warhol Polaroids to be shown in Malaysia and Asia to date, the rare collection shows the world’s biggest actors, artists and fashion designers from the 70s and 80s on display. The Polaroids not only demonstrate Warhol’s influence as an artist and society figure, but also inspire his large-scale portraits he is best known for. · For the first time, the Shalini Ganendra Fine Arts Gallery will be a festival hub - featuring the works of mixed medium artist Zac Lee, sculptor Anniketyni Madian and the PavillionNOW 2016 - Shadow Garden installation by Ar. Eleena Jamil alongside workshops, a capella performances and talks. The PavilionNOW project celebrates local architecture and design talent, and challenges local talent to create beyond conventional definition and perspective, as well as provide a stage set for performances throughout DiverseCity 2016. · Catch the Dirgahayu Proposal photography exhibition by prominent Malaysian photographers Rahman Roslan, Ahmad Yusni and Zulfadhli Zaki. Entry to many of the performances and shows will be free. Standard price tickets range from RM10 to RM200. From now until 15 August 2016, tickets with up to 33% discount per person are available for group purchases of at least four tickets for selected shows.